azerolf has no other items for sale. 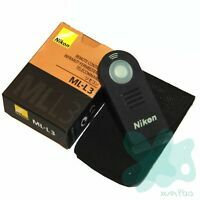 Universal Wireless Camera Remote for Canon, Nikon, Sony, Olympus, Pentax + More! Note: Hope you can give us 5 STARS RATING and POSITIVE FEEDBACK, your support is highly appreciated. Arrived quickly, packaged very nicely, and works as described. Recommend. Received as described! Fast shipping! Thanks! Great little remote. Fast ship.